La Pointe Baie Gillies, Latulipe, Qc overlooks Baie Gillies, river Gillies. 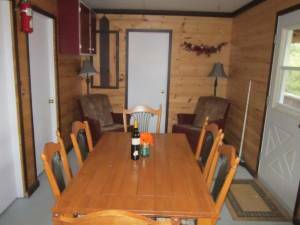 We have 7 clean, well maintained cottages and 12 – 1, 2 or 3 service camper sites ranging from 50amp to primitive with a bath house. We have new picnic tables, dump station and lighted dock with power. This area is very private with lots of trees, walking trails and more space to enjoy with family and friends. 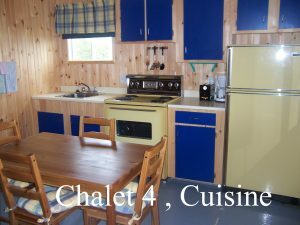 Pourvoirie Camping Eau Gillies, a short distance away, has a restaurant which is now air conditioned and has an expanded menu. Ice, worms for fishing, hunting and fishing licenses, propane refilling and a 20x50 pool (visitor costs: $ 4.00 per person). All are available to our customers. DEPOSIT BY CHECK IS FINE, BALANCE UPON ARRIVAL MUST BE IN CASH. 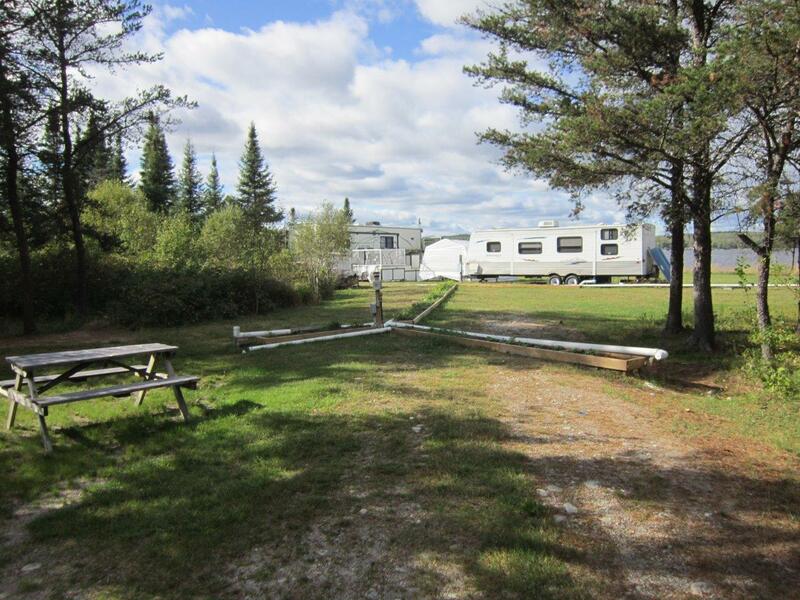 Weather permitting, lodging and/or camping will be available for fishing and hunting before and after camping season. 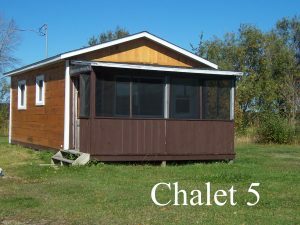 3 Bedroom cottage with kitchen and a washroom with shower. (3) rooms : Master bedroom with a double bed, 2nd room contains 2 single beds, 3rd room contains single bunk beds, living room has a futon for 2 persons. Weekly rate of 695.00 $ for 6 persons or 160.00 $ per day for 6 persons. (2) bedrooms : 1st room with double/single bunk bed, 2nd room with double/single bunk bed. Weekly rate of 520.00 $ for 6 persons or 110.00 $ per day for 6 persons. (3) rooms : 1st Master bedroom with a double bed, futon and a patio door with a view of the lake. 2nd with double/single bunk bed. 3rd room with 48inchs/single bunk bed. 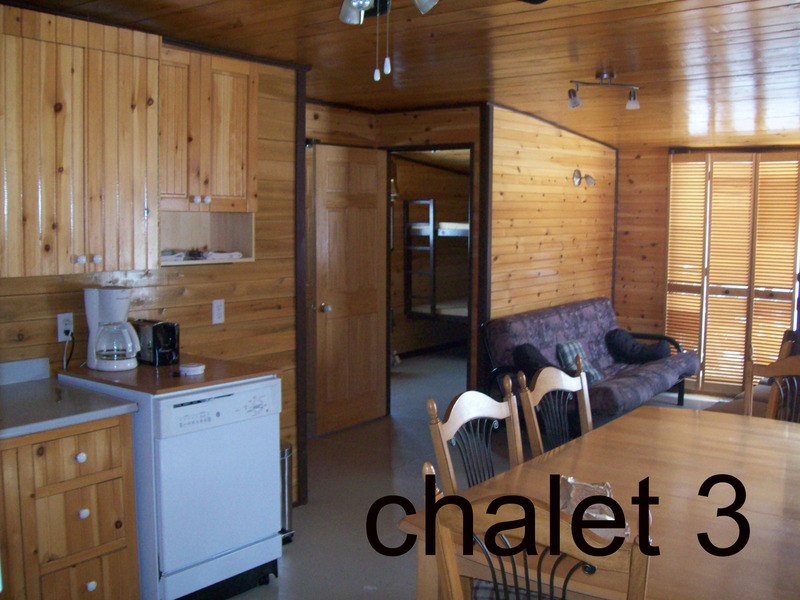 Weekly rate of 825.00 $ for 6 persons or 200.00 for 6 persons. Weekly rate of 480.00 $ for 2 persons or 90.00 $ per day for 2 persons. 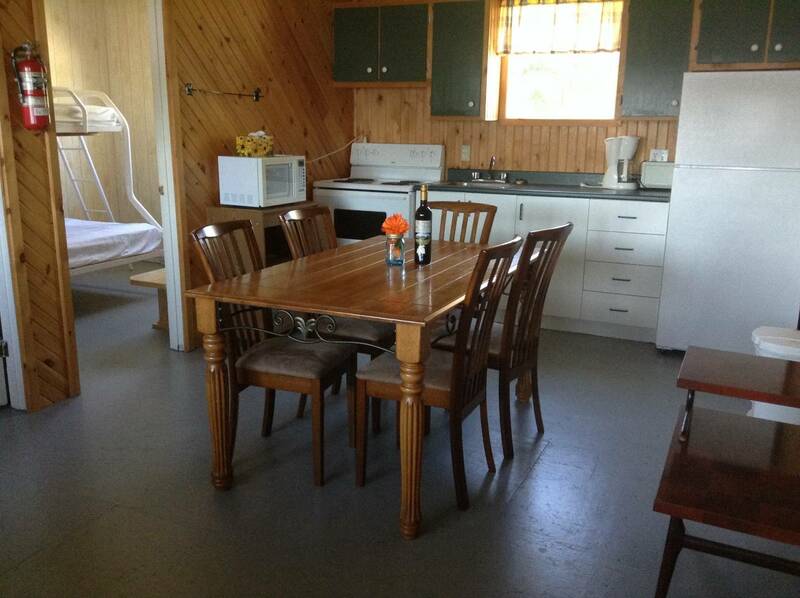 2 room cottage with a kitchen and a washroom with shower. 1st room with double bed and a single bed, 2nd room with double bed and a single bed. 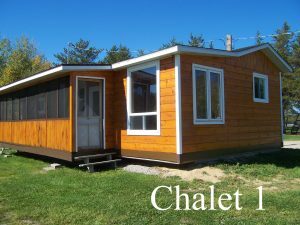 2 room cottage with kitchen and a washroom with shower. 1st room with double bed and a single bed, 2nd room with a double bed and a single bed. Weekly rate of 595.00 $ for 6 persons or 135.00 $ per day for 6 persons.